Modofac Productions, LLC, an Illinois Limited Liability Company, is a production company for musical, theatrical, movie, and narrative fiction works. It is headquartered in Glencoe, Illinois, and managed by its Producer, Henry H. Perritt, Jr.
Modofac is a registered federal trademark. 5779 North Ridge Avenue, in Chicago. Airline Miles, a new play by Hank Perritt. Richard Ginsburg's life is falling apart. He no longer has the business he built from scratch. He is estranged from his son. He has become obsessed with a special airline frequent-flyer program that lets him fly first class anywhere in the world whenever he wants. The program has become the focus of his existence. And now the airline has cancelled his privileges. Brendan Scope is on the fast track. He is a handsome former college athlete, now practicing law with some significant litigation victories to his credit. Nothing can get in his way, not even some painful disasters from his past that he has managed to bury. Not even the fact that he is gay. Then Richard becomes his client. 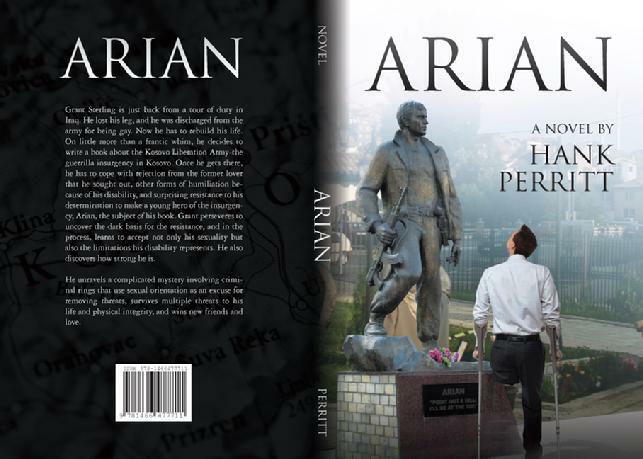 Arian is a novel that tells the story of Grant Sterling, a disabled American army veteran of the Iraq war who goes to Kosovo to write a book about the KLA. He discovers dark secrets about Arian's life and death (Arian was the main protagonist in YTAMF) that lead him into peril as he seeks to accommodate his disability, his need for love, his courage, and his sense of justice. Jovan is a novel that tells the story of of an amputee American army vet, Grant Sterling, and a former Serbian anti-terrorist policeman, Jovan Fabče, who fall in love and then help thwart a massive cyberattack on the U.S. banking system organized by the Russian government through Serbian nationalists. As they struggle to isolate the relevant technology, they are buffeted by hidden threts, uncertain loyalties, jealousy, and vicious attacks before old friends come to the rescult and help them discover new sources of love. Published February, 2012 by Amazon.com, in paper and Kindle formats. 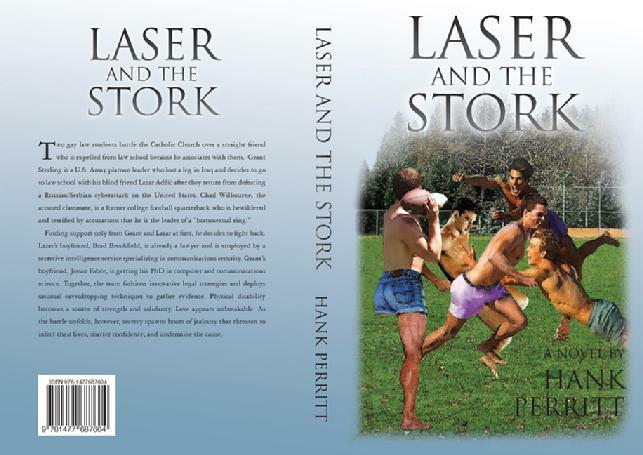 Laser and the Stork is a novel in which two gay law students battle the Catholic Church over a straight friend who is expelled from law school because he associates with them. Grant Sterling is a U.S. Army platoon leader who lost a leg in Iraq and decides to go to law school with his blind friend Lazar Ad�ić after they return from defeating a Russian/Serbian cyberattack on the United States. Chad Wilbourne, the accused classmate, is a former college football quarterback who is bewildered and terrified by accusations that he is the leader of a “homosexual ring.” Finding support only from Grant and Lazar at first, he decides to fight back. Lazar’s boyfriend, Brad Brookfield, is already a lawyer and is employed by a secretive intelligence service specializing in communications security. Grant’s boyfriend, Jovan Fabče, is getting his PhD in computer and communications science. Together, the team fashions innovative legal strategies and deploys unusual eavesdropping techniques to gather evidence. Physical disability becomes a source of strength and solidarity. Love appears unbreakable. As the battle unfolds, however, secrecy spawns bouts of jealousy that threaten to infect their lives, shatter confidence, and undermine the cause. Chad Wilbourne is a handsome recent law graduate and former college quarterback. Grant Sterling also is a recent law graduate and former U.S. Army offi cer, who lost a leg in Iraq. Initially uneasy with each other because Grant is gay and Chad is not, their bond of friendship now is deep, though competitive. After the competition spills over into fl ying lessons, where Grant faces some challenges because of his missing leg, Chad suddenly announces that he is joining the Navy SEALs. 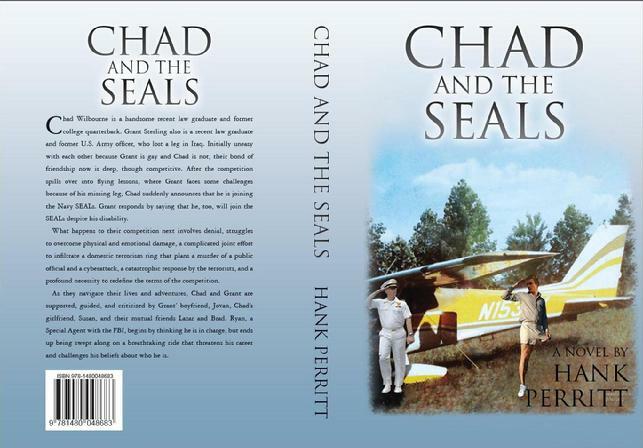 Grant responds by saying that he, too, will join the SEALs despite his disability. What happens to their competition next involves denial, struggles to overcome physical and emotional damage, a complicated joint effort to infiltrate a domestic terrorism ring that plans a murder of a public official and a cyberattack, a catastrophic response by the terrorists, and a profound necessity to redefi ne the terms of the competition. As they navigate their lives and adventures, Chad and Grant are supported, guided, and criticized by Grant’s boyfriend, Jovan, Chad’s girlfriend, Susan, and their mutual friends Lazar and Brad. Ryan, a Special Agent with the FBI, begins by thinking he is in charge, but ends up being swept along on a breathtaking ride that threatens his career and challenges his beliefs about who he is. A joint production of The Artistic Home and the Young Lawyers Section of the Chicago Bar Association. Co-sponsored by Chicago-Kent College of Law. A cast auction was held on 14 December 2011. The play was performed on 3 May 2012. Lawyers attending the production earned 4 hours of MCLE credit, including 2 in ethics.. See www.givinggroundplay.com for more information. You Took Away My Flag: the Movie. Modofac Productions, LLC and Troglogyte Productions shot a trailer during the summer of 2011 and are entering the trailer in the festival circuit beginning in the fall of 2011. See www.youtookawaymyflagfilm.com for more info. See http://www.facebook.com/home.php#!/profile.php?id=100002386346552&sk=photos for photos of rehearsals and shoots. Hank Perritt's You Took Away My Flag: a Musical About Kosovo opened for four performances at Strawdog Theatre on 12 June 2009 and again for an eight-week run at Theatre Building Chicago on 2 April 2010. 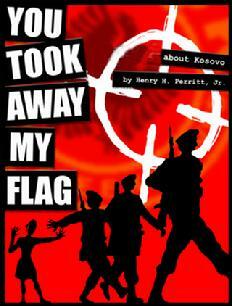 YTAMF is a sung-through rock musical with 50 songs and 14 characters, set in 1998-1999 in Kosovo. It portrays the struggle of members of a Kosovar Albanian family seeking to find individual fulfillment in the middle of a violent conflict, one in which their futures are likely to be determined more by great-power politics than by the content of their characters. Copyright 2010, Henry H. Perritt, Jr.